In recent years, Enterprise Asset Management (EAM) applications have gained lot of traction, due to the continuous need to improve on the return on investment of every asset. EAM applications provide the platform required to manage assets and operations within an organization. The primary goals of EAM applications are asset uptime, cost control, asset longevity, and safety.And IBM’s intelligent EAM application, Maximo, helps companies manage their assets effectively, significantly reducing maintenance turn around times. 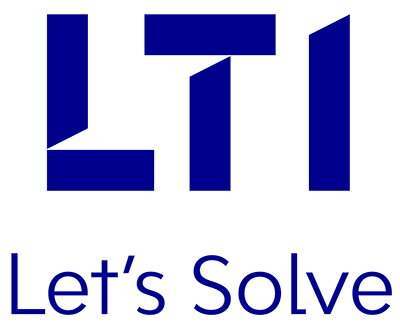 At LTI, we take pride in being your thought partner, and understand the need for innovation to cater to your unique business model. We are an IBM Premier Business Partner, and are Gold Accredited in Asset Management. Our Maximo Practice provides proven end-to-end services across the IBM Maximo suite. We leverage our business and technology expertise, proven execution methodologies, and our strategic alliance with IBM, to give a winning edge to our clients. Our rich experience spans across global implementation, upgrade, roll-out, application maintenance & support, integration, and consulting services. These include functional and technical assistance with reliability initiatives, and maintenance workflow processes.To provide our clients with accurate offerings, our dedicated Maximo Center of Excellence (CoE), studies emerging technologies, and identifies ways to leverage these for faster and best-fit solutions for our clients. Leverage end-to-end proven implementation methodology, to reduce the overall implementation time-frame. Upgrade your older version of Maximo to the latest one, smoothly & efficiently, using our Mosaic framework. Empower your business processes with support & maintenance services, customized to your unique needs. Be in the know of the latest industry best practices around Maximo implementation, and gain the best out of your investment. Ensure end-to-end work order management in a simplified&cost-effective manner, with LTI’s custom-built mobility solution, using the Mosaic framework. Manage complex railway assets, using the custom-developed, industry-built solution, specifically targeting the Rail Industry.